Secrets from the future and the past come to haunt Uncanny X-Force! What does Fantomex want from Betsy? What does Betsy want from Cluster? What does Cluster want from Fantomex? What does Bishop want from the 21st century? A body count or a good burger? And Los Angeles, lock up your humans: there’s a new mutant on the loose! Art-Adrian Alphona and Dexter Soy combine to give us the best drawn issue of the series to date! Everything on the Astral plane has a distinctive feel that allows the story to flow nicely without any real confusion of any kind. Action- The Psylocke and Spiral face off was choreographed and executed well. Alternate Cover- For once a throwback X-men cover I would want to purchase, It harkens back to the late 90’s when Wolverine was the horseman known as death. Far more detailed and worthy of your money than the flimsy standard cover. Wildcard- So this issue Psylocke and her band of misfits mission statement comes full circle, they are not on Wolverine’s side or Cyclops, there is no black or white they will straddle the grey area of the mutant universe. Wolverine vs Psylocke– Oldie but a goody! I can still remember these two facing off when she was Lady Mandarin and she beat his feral a$$. It’s something I’ve always wandered in the modern x-men comics who would win in modern times? In this issue Psylocke would have cleaned his clock since her mind now also houses the demon bear. Black Hero– Storm is here…..but serves no purpose. Bishop is also here but lays catatonic. Characterization- Just as I pointed out in my previous reviews these women are remarkably similar in how Mojo impacted their lives and as predicated this is the vehicle with which the writers have humanized Spiral and that leads to her eventual joining the team soon. 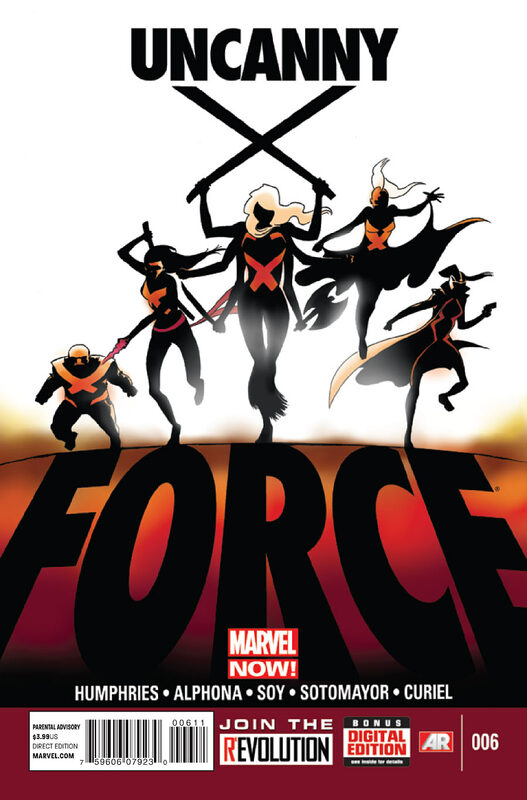 Cover- Cute and creative way to make the Uncanny X-force logo but it’s bland, lifeless and lacking in detail. Storm fans she’s still just in the background I’m sure that won’t piss you off since she’s so preeminent elsewhere (sarcasm).